Numerous cities all over the world have saluted marking the anniversary of the end of World War II! According to a regular tradition the team of the international on-line Forex broker InstaForex participated in honoring of the World War II veterans. InstaForex group joined the public demonstration from the central location of the parade on the Victory Square to the memorial of 1200 guardsmen. 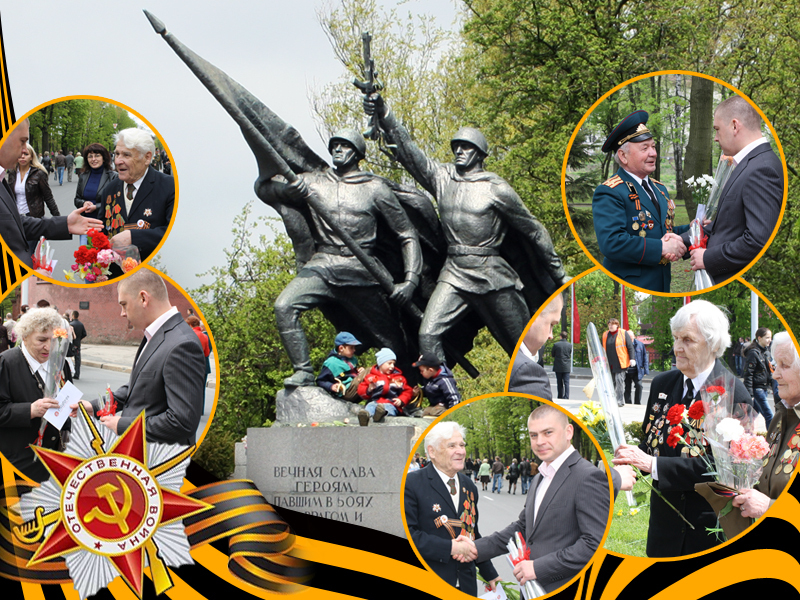 Near the memorial, the representatives of the company together with the veterans and their relatives laid flowers in memory of all the heroes, who at a price of their lives achieved peace for future generations. InstaForex team warmly congratulated the veterans by handling flowers and presents to them, in acknowledgement of the accomplished during World War II acts of bravery. Unfortunately, the years go by. The number of direct participants, struggling for peace and future, free from tyranny and fear is getting less. But we will always keep their feats and valour in our hearts! Our warmest congratulations to all veterans on the occasion of the Great Victory! We remember you and highly appreciate your deeds! If a trader expects that working on Forex market can bring regular profit he needs to realize the economic laws according to which the market is functioning, as well as the peculiarities of the market. This article dwells on the notion “market tendency”, or a trend. A trend and tendency both denote the general direction which the currency fluctuations follow at Forex market. Constant analysis, monitoring and estimation of tendencies and trends on the market allow a trader to open positions timely and gain profit. The majority of novices make the mistake as they do not pay attention to the overal trend direction while opening positions; this leads to opening false positions and a sequent loss of funds. Watching the dynamics of increases and downfalls a trader can see the dominating on the market tendency, its duration and can predict further advances. The bullish trend is also called an uptrend or an upward trend. The peculiarity of this trend is that the lowest prices of market fluctuations start to increase gradually. The notion “bullish” appeared on the analogy with the animal ‘a bull’ who is tending to raise the enemy on his horns – or in case with Forex – the price. The bearish trend is called a down-trend, or a downward trend as well. The characteristic is that prices start the declining movement. The name “bearish” emerged because of the connection with ‘a bear’, which as if pressurizes the price with all his heavy body. Sideways trend or the flat market and the trendless market, denotes that there is no trend. A long-term flat demonstrates that in the nearest time there will be a strong break though on the market either directed to the bullish or to the bearish trend. The major feature of the flat is a lack of a clear price movement. The basis of financial markets is the price. The result of any operation conducted at Forex currency market is fully dependent on the price. The price is very flexible and exposed to constant changes. Before conducting an operation on Forex, make sure that the trend is really up-to-date for the market and it is not a short-time recoil of the price in the opposite direction, this mistake is often made by traders with little experience, thus they are exposing their funds to a big unreasonable risk. The most frequent mistake for a beginning trader is the wrong time of closing the position. A trader can make the incorrect market analysis, make a false determination of a market movement direction or even ignore the trend. This will inevitably lead to the situation when the position which could have brought profit, but was closed in bad moment will on the contrary bring significant losses. In order to define the trend on Forex market a trader can use numerous technical indicators and the market analysis. If you are tending to achieve success on the international Forex market, do not forget about the important rule – a trend is your friend.